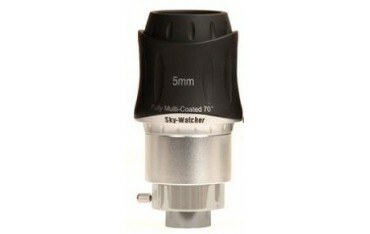 Skywatcher's stylish new soft rubber-clad 70° super wide angle eyepieces are constructed from 8 lens elements and are fully multi-coated throughout. 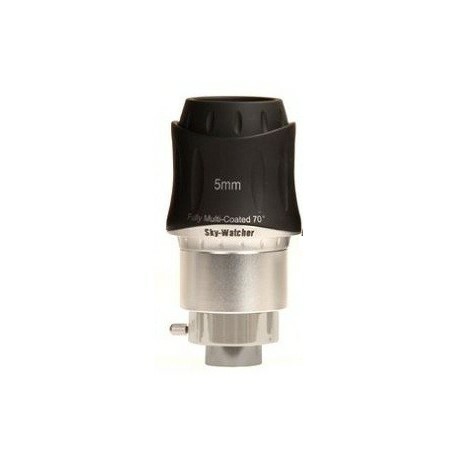 The 5mm version features a cleverly designed dual-fit barrel that enables it to be used in both 1.25” and 2” focusers. Oversized eye lens elements and soft twist-up rubber eyecup provide comfortable viewing. Eye relief is a generous 20.6mm. its 5mm focal lengths features dual-fit barrels and is threaded for 1.25” filters.